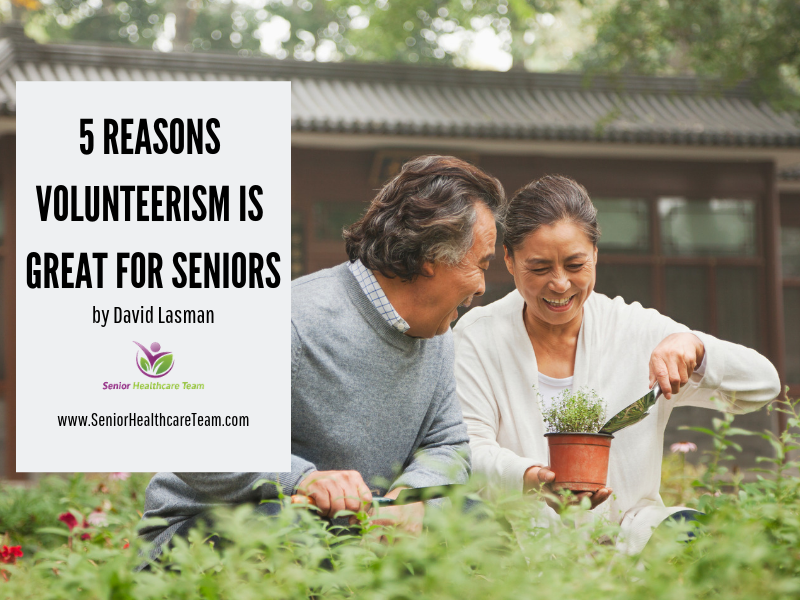 Besides the intrinsic rewards of helping others, volunteering promotes good physical and mental health and helps seniors pursue their passions in retirement. When self-described “little old woman” Maggie Kuhn was forced to retire in 1970, she decided to use her unanticipated free time to found the Gray Panthers, an organization that fights age discrimination and advocates for social and economic justice. Legendary actress and singer Doris Day, now age 90, followed her passion for helping animals well into retirement — since 1971, she has founded four organizations and facilities dedicated to animal help and rescue. Far from letting retirement slow them down, these senior activists used their retirement as a chance to craft a meaningful and rewarding life. Learn more about pursuing a cause and spending time helping others in later years. As a volunteer, retirement can afford you the chance to work on a project or issue that is important to you — simply for the passion of it, rather than for a paycheck. Seniors have a unique set of skills and knowledge to offer as volunteers: a lifetime of experience can help you help others in a myriad of ways, from mentoring and tutoring younger generations, to providing career guidance, to offering companionship and care. 1. It helps bridge the generation gap. Young people are often encouraged to volunteer as a way to broaden their horizons, improve their college prospects, build their resumes and help others while doing it. Seniors who volunteer have a unique opportunity to work with and assist younger generations — and learn from them, too. 2. It helps change the way people think about older adults. By using their talents and skills out in the world in a variety of ways, seniors demonstrate that they are active, involved and essential to a healthy community. 3. It is good for mental health and can help prevent Alzheimer’s. The National Institute on Aging has reported that participating in social leisure activities and meaningful, productive activities such as volunteering may lower the risk of health problems in seniors, including dementia, as well as improving longevity. Being a volunteer can help keep the brain and the body active, which contributes to continuing cognitive health, according to numerous studies. 4. It helps prevent senior isolation and depression. In addition to getting seniors out of the house and into the community, volunteering has a positive effect on psychological wellness: according to the Corporation for National and Community Service, those who volunteer experience greater life satisfaction, a sense of purpose and accomplishment, more stress resilience, and lower rates of depression. 5. It promotes healthy physical activity. Volunteering can be good for keeping the body active, whether you’re building houses for Habitat for Humanity or walking around your favorite museum as a volunteer docent. Maintaining a healthy level of physical fitness as we age helps ward off disease, injury and even dementia. You don’t have to look for a specific senior-friendly program to make a volunteer experience meaningful. There are dozens of opportunities everywhere — all you need to do is look around for the causes you care most about and identify where your help is needed. For example, animal lovers can volunteer at an animal shelter or the Humane Society, helping with everything from “foster parenting” to taking dogs on a daily walk (getting both dog and human some of the physical activity they need). Those who are compassionate about fighting hunger can volunteer at their local soup kitchen, a food bank, or Meals on Wheels, or even advocate for hunger relief at the social or political level. Helping veterans, children, or those affected by natural disasters are also very rewarding volunteer opportunities. If you or your loved one are looking for a more intellectual way to contribute, being a docent or tour guide at a local museum or botanical garden might be more your style. Check with a nearby college or university — like UC Davis’ Retiree Center, many offer ample volunteer opportunities both on campus and with associated organizations. No matter which cause you choose, though, it will confer physical, social and psychological benefits, and you’ll experience the joy that comes from knowing you’re using your unique set of skills and your lifetime of experience to help others in need. What better reward than that?